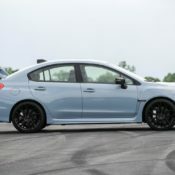 The Boxserfest in Washington D.C. was the venue this year where the new and special Series.Gray version of the 2019 Subaru WRX and WRX STI were unveiled to the fans. 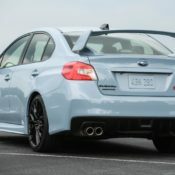 The limited model is probably the classiest version of either versions of the WRX ever built, but it comes at a price. And that price is, well, the price. 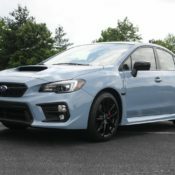 2019 Subaru WRX Series.Gray is limited to 750 units and starts at $32,595. The WRX STI Series.Gray comes in only 250 copies and kicks off at $39,695. But each of these bad boys have enough special features to convince the fans that price is worth paying. What they share include Cool Gray Khaki paint job and Crystal Black Silica badging. 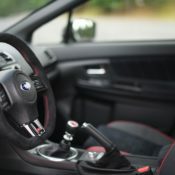 The 2019 Subaru WRX Series.Gray has such highlights as a six-speed manual gearbox, 18-inch alloy wheels with black finish, standard Performance Package with Ultrasuede-trimmed Recaro seats, 8-way power driver’s seat, JURID front brake pads and moonroof delete, as well as LED Steering Responsive Headlights, LED fog lights and Keyless Access with Push-Button Start. 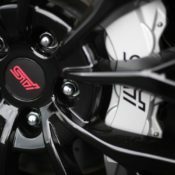 The 2019 Subaru WRX STI Series.Gray, meanwhile, boasts foldable exterior mirrors as well as 19-inch alloy wheels with black finish, Brembo brake calipers in silver finish with black STI logo, black Ultrasuede interior with Carbon Black Leather bolster and Ultrasuede steering wheel with red stitching, Bilstein STI sport-tuned suspension featuring Bilstein dampers for the inverted-strut front suspension and double wishbone rear suspension, Recaro seats with 8-way power driver’s seat and Keyless Access with Push-Button Start. 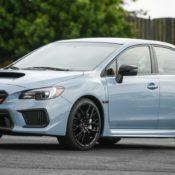 The post 2019 Subaru WRX and WRX STI Series.Gray – Specs & Details appeared first on Motorward.